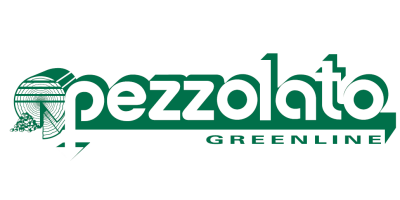 Pezzolato S.p.A. was founded in 1976 and, thanks to the quality of its products, acquires in a short time a leading position in Europe. Four production ranges, a strong vocation for mechanics which guides the projects and the construction of all machines, the attention paid to the customers’ requirements, a considerable part of the turn over invested in research and development programs are at the base of the growing success of the Company. Today Pezzolato S.p.A., with two factories, an area of 70.000 m2 (30.000 of which under roof) and 120 employees, can operate with great flexibility, guaranteeing serial products solutions specially designed for meeting the customers’ requirements. These are only some of the reasons that have made Pezzolato a leading company in the European and the world markets. The success of the company has allowed a gradual knowledge of the customers’ requirements, from small users to large agriculture and forestry companies. Therefore, Pezzolato S.p.A. has created a wide range of machines with different dimensions and performances, in order to offer the appropriate machine for every single requirement. A well-stocked spare parts warehouse, a computerised management of the orders, a widespread and well organised assistance network, versatile resource management guarantee a reliable and immediate after-sales service. The acquisition in 2002 of the ISO 9001:2000 management system released by DNV, an internationally renowned entity, is a further confirmation of quality looking at the future.